Criminal defendants who graduated from mental health court demonstrated substantially reduced re-arrest rates a full three years following their release, a new Florida tech study found. The findings come from the longest period of post-program behavior examined in a published study involving mental health courts. Julie Costopoulos, an assistant professor in the university’s School of Psychology, and doctoral student Bethany Wellman, said the research demonstrates the huge potential for diversionary programs to ease the burden on the nation’s overcrowded prison system. Additionally, they found that those who participated in mental health court prior criminal behavior, no matter how serious, was not an indicator of post-release recidivism. And even when mental health court participants re-offended after failing to complete the full complement of treatment and support, participants committed less serious crimes in doing so, the study found, with the severity of offenses declining the longer they had remained in the mental health court. The study, “The Effectiveness of One Mental Health Court: Overcoming Criminal History,” was published online June 21 in the journal Psychological Injury and Law. In the study, Costopoulos and Wellman note that their findings add to a growing body of evidence of the value of mental health courts from almost every perspective – human, economic, criminal justice, societal – compared to more traditional incarceration, which has been shown to be ineffective at reducing recidivism while actually exacerbating mental health issues. Mental health courts combine judicial supervision with community-based mental health treatment and other support services. There are roughly 300 of them in the United States, according to the federal Substance Abuse and Mental Health Services Administration. Nearly half of the total can be found in just five states – California, New York, Ohio, Florida and Illinois – and seven states have no mental health courts. 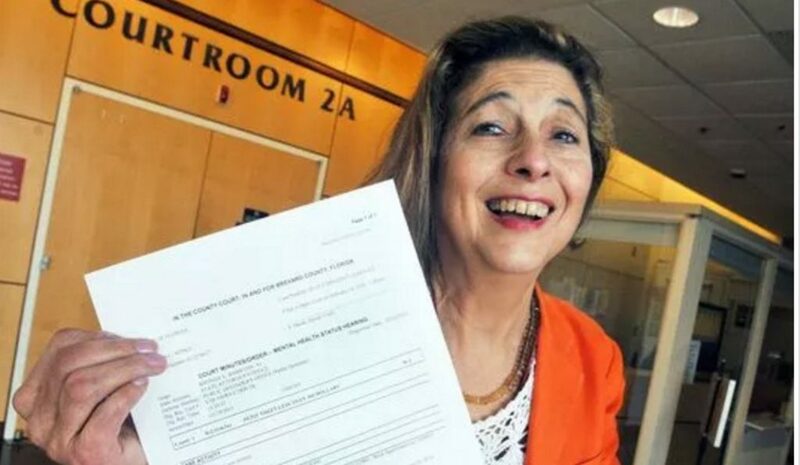 The first mental health court was created in Broward County, Florida, in 1992, modeled on a drug court program that brought community-based treatment and social welfare elements into the proceedings. Defendants must be invited to participate in mental health courts by agreement of the state attorney and public defender and they must display evidence of mental illness. For their study, Costopoulos and Wellman used data on 118 participants in the Brevard County, Florida, mental health court. Of those, 80 graduated and 38 were dismissed prior to graduation.